As you may all know Google has been spending some of its vast cash flow on developing driverless cars, using a Prius as the base. This follows on from the US military DARPA project to encourage autonomous vehicles. Well, Governor Jerry Brown (whose one time girlfriend was Linda Ronstadt for those of you who can remember the 60's) has just signed a California law to enable driverless cars into LA etc. As the Washington Post article makes clear all the law does is to let the California DMV write standards for driverless cars. So the actual cars may be a lot more than 3 years away. - How will teh rules define evasive manoeuvring capacity? - for example if a drunk driver came out of a side turning at 90 mph a good, alert defensive driver might avoid the crash by emergency action even such as choosing to hit a wall at an angle versus the drunks' car head on. Will the rules demand such advanced judgement from a driverless vehicle? Finally, the concept of autonomous aircraft is pretty well established - and is reality with drones. However the US FAA is very, very reluctant to allow pilotless planes in the sky over the USA so it will be interesting to see if driverless cars appear on California streets before pilotless planes fly overhead. It could give us some absolutely insane racing series. where one does not red flag during crash but let the cars continue if the track is clear. It would allow for no or little marshalls around the track. And speeds unheard of in automotive racing. Regarding street going cars it would be a step by step process. First they are allowed to drive on the highways and the desert roads where no people is allowed or is easily seen with sensors. They would need to make a set of rules that the programmers need to follow. For instance there should not be a avoidance manouver into sidewalks at daytime. And at night it needs to have a very good view of that sidewalk to allow for it. Just an example. The programmers would need to follow a priority list. avoiding dogs are prioritised after avoiding crash with the oncoming car for instance. If both cars are intelligent they can cooperate to avoid the accident. By having a shared info stream cars in traffic can notify each other about drunk like behaviour and share estimates about where this person is likely to be upon arrival. Thats all fine teory ofc. Once a hacker gets a hold of this everything goes to hell. We allready have had the first hacker program go and "physically" attack someone. it was added a link on a epileptic support page or something that transfered you to a page that blinked like mad. Edited by MatsNorway, 01 October 2012 - 14:45. That must be why the DARPA challenge gets more TV viewers than NASCAR in America. The only reason I can imagine to be Governor of California. I think the current gen is mostly screen oriented and they don't really seem interested (currently) in the real / analog world. Cars are appliances for most. Everyone I see nowadays has their heads stuffed into a digital social device. 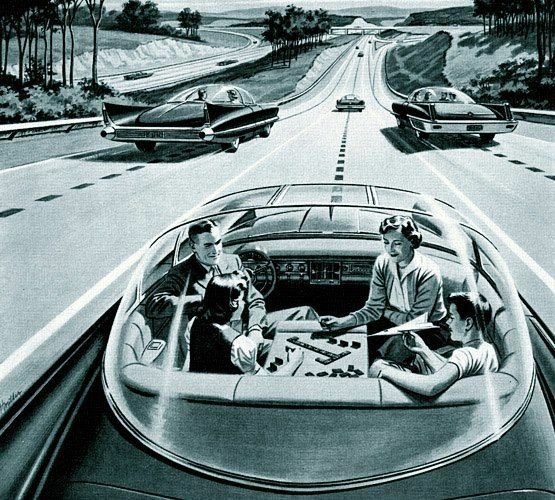 So imagine thousands of pod cars moving averaging 45 mph - scuttling to their destinations with everyone in the device staring / working on their little screens. And then with people stepping out of the pod onto the sidewalk and the pod moving on to the next user. It's probably a monthly fee for use plus miles - charged to cell phones. Driving in SoCal is already mind killing. So people will happily give it up. On the good side... imagine "driver signature edition" telemetry downloads! You could download "Jenson Button driving in London traffic" or "Alonso in a mountain pass". Be fun in a track car - show you the right way around, so to speak. Remote control race cars??? We're already too close to that nowadays as far as I'm concerned. Who cares who makes the best "driverless car" software? Interesting . If you combine the ideas being discussed on electric car formula thread and these ideas you have essentially 1:1 scale slot cars. I already have a collection of smaller scale versions. They were always a poor relation to the real thing. Not for this black duck! I'm amused as to how this discussion is always steered into some corner cases, like a computer malfunction leading to a crash, or computer's inability to perform a feat of stunt driving to a avoid a drunk. The fact that most people, and quite a lot of people at that, are killed because of some very pedestrian human mistakes or weaknesses that computers can easily eliminate seems to not be mentioned. I can understand how you would dislike this development because you enjoy driving, but safety concerns strike me as entirely Luddite. Edited by Dmitriy_Guller, 02 October 2012 - 04:03. The bottom line is whether automated self-driving cars are safer than human piloted ones. They can suffer all sorts of malfunctions -- even serious ones involving lethality -- but if those are less frequent than the status quo on a per mile traveled basis, they will represent a safety improvement. People like to feel agency -- to feel in control of their circumstances -- but that's irrational if doing so makes them objectively and quantifiably less safe. If the technology isn't to that point yet, it's only a matter of time before it is, and once that point is crossed we will have to begin asking ourselves how many pointless deaths and injuries are worth the subjective feeling of control afforded by driving yourself. I am no expert on computery matters - but I suspect that it will be a while before we see driverless cars. However I think it will be fairly common practice within 20 years or so. A computer chip typically has up to about 4 billion (!) transistors ( I can remember in the early fifties when it was a big deal to have 2 or 3 transistors in a radio). A human brain typically has about 100 billion neurons. Apparently a neuron is more-or-less equivalent in "thinking" power to a transistor - so at the exponential rate electronics and computers etc. are advancing it won't be long before the number of transistors in a chip far outnumber human neurons. So the time is probably not far off when a computer probably will have enough "thinking" power to actually drive the car by making human-like observations of prevailing road conditions rather than following sensors in the road surface etc. In fact, ultimately I think the computer could do a far better job than a human in that it could have visual sensors looking in all directions (humans being a bit limited in this department) plus receive GPS information directly etc. etc. It is not surprising that aliens vist Earth just to buy our electronic gadgets (everybody knows this). Btw. Just a hour ago i had to brake because a stupid tard in a van decided to intersect/take my exit me when i was going out of a roundabout. i had my right but i braked and stood on the horn for some time. And decided not to drive in front and give him a speech. i wasn`t really angry i was just wanting him to know he ****ed up. Next time ill floor it.. so he has to brake or take avoidance. I think some would opt not to have a self driving car because they can`t skip/cheat your way through traffic like you can now. Edited by MatsNorway, 02 October 2012 - 14:44. A computer chip typically has up to about 4 billion (!) transistors ( I can remember in the early fifties when it was a big deal to have 2 or 3 transistors in a radio). A human brain typically has about 100 billion neurons. If I'm not mistaken, it's the *connections* where we completely dominate, with somewhere around a quadrillion connections (give or take an order of magnitude) in the human brain. A transistor, on the other hand, has a small fixed number of connections to it. As yet, computers cannot draw inferences, a prerequisite for driving a car on unknown roads. Computer controlled cars can't think, all they can do is search their memory banks for a pre-programmed scenario, and if they can't find one, they're jiggered. I was coming back from Cambridge one afternoon and while going through a medium-tight blind S bend under a bridge was confronted with a van coming the other way on my side of the road, he had decided it was a good place to overtake a queue of traffic - No time to brake, but I saw that there was no-one walking on the pavement, so I jinked left and up onto the curb and went round him, all in less time than it takes a digital television to change channels - Think about it. If I am driving towards a blind corner and all the drivers of cars coming the other way are waving and all pedestrians are looking away from me, I am going to conclude that something has happened round the corner and I will slow down; how will a computer deal with that scenario? It will have been pre-programmed to travel at X MPH in built up areas, X-y if it is a narrow road approaching a bend; but unless it has some incredibly sophisticated facial detection software there is no way it is going to understand the implication of pedestrians not looking in random directions; it will not be able to understand the difference between a driver waving at a friend in passing and a wave as a warning. Unless all the computer convoys are restricted at all times to 20MPH or below, I can't see them being better for safety than current cars - The most dangerous roads are those in town and the narrow, winding and hedged roads in the countryside; and how are you going to program in random hedges and trees, cows and sheep, a leaping deer; the change from summer to winter and back again, all perspective distorted by a blanket of snow? Watching the football yesterday afternoon, it took the very sophisticated, state of the art, SKY television cameras a good 5 seconds to adjust from bright sunlight the shade of the stands; how good are the cameras in the cars going to be? It can't all be done by radar, a pedestrian would have to wear a very big gold watch to be picked up by radar. You are going to ask "Haven't they thought of all that? ", I will answer that they don't want to, it might mean that they lose their funding. Some very interesting comments - I suspect the issues are not simply technical but really social/legal. As Blogsworth says there will always be accident scenarios where a human would do better than any computer controlled car. However many accidents are caused by simple human error or fatigue so here the computer is safer. In a purely rational world you would do a cost/benefit analysis with some rational value assigned to saving death or injury. I suspect the computer driven car would win that logical argument, even though some extra Bloggsworth style deaths would arise. Given that the growth in human population is concentrated in large cities the traffic control benefits of linked ( or centrally controlled ) cars are probably huge and a cost/benefit analysis of the sort used to justify new rail lines etc would "prove" the extra cost of driverless cars to be good for society. However things like emotion and personal preferences will impact how it goes. Will individuals accept the extra computer accidents or will they sue if involved in one? If so who do you sue, the mfr (who will argue they met the legal spec) or the regulating body? If, say Nevada has laxer rules than California is that de facto negligence by Nevada for example. If a national std is set is the national govt protected by state indemnity - if yes who can be sued? All this "suing stuff " may sound paranoid but if its in any way the mfr then they will have to purchase cover up front and car prices rise. In any event would the current driver based insurance system will no longer have any justification in civil law if eh car is "driverless"
I may be too Libertarian but I strongly suspect " driverless and " autonomous" will end up meaning very different things and all the traffic flow mgt benefits will drive govt towards centrally controlling the cars , certainly in cities. That will lead to enforced rationing - plug in your destination and the car refuse to start as you will just ad to en route congestion. So the car stops being personal and becomes a form of very comfortable public transport. Which in turn suggests no private ownership but just pooled driverless cars. So its not just technology Its worth remembering that the Volvo safety chief recently said " people do not have the right to lose control of their cars" I.e you must limit car manoeuvring to under , say, 0.3G so as to always have safety margin . That argument is driven by a strong concept in modern western society - The individual cannot be allowed to act in way which harms the rest of society. Interesting debate, but I can't help noticing that most seem to think computers can't better humans in driving safely. Yet most modern airliners are flown for nearly 100% of the time by computers. The two blokes in gold braid are really only there to reassure the passengers. Aircraft operate in three dimensions, rather than the two of road vehicles, yet the little boxes of tricks seem to cope very well. There are also plenty of railways that are driverless. The Docklands Light Railway in London has never had drivers but has carried millions of people safely for 20 years or more. EDIT: * I am assuming that the operating system won't be Microsoft Vista of course. Edited by BRG, 02 October 2012 - 17:50. Just to clarify: Google's autonomous cars have been driving around for several years and have done over 300,000 miles. There was no law that said they couldn't. The laws signed into effect recently are about "regulating safety and performance standards for driverless cars" so that they can be sold publicly. They plan to start doing so within five years. There have been two accidents that I know of involving these autonomous cars. One was in manual mode, driven by a human, and the other was rear-ended at a stoplight by a human driver. Stanford's sister project has been to Thunderhill at least once, but this story doesn't mention lap times. 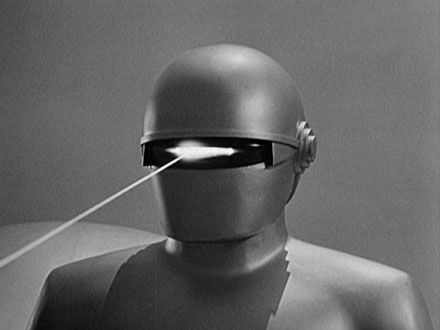 Have they been unmanned? I thought that was the difference with this development. btw the aircraft analogy is bad. On account of spacing and well, the human air traffic control element. Personally I'd be quite happy for my car to drive me around. If I want to drive I can do it on the track or at the strip. One area where self driving cars would really be worthwhile is with older people. Many seniors find driving stressful (and it can be stressful for the other drivers too) and those that would otherwise be unable to travel would again be able to do so. But what I'd really like to know is could we go to the pub and have a few drinks and have our car drive us home, legally? We are still very far from a computer that can think like a human. But a computer does not need to be able to think like a human to drive a car better than a human. The task is to solve the problem, not to "think". A computer that beats any human in chess does not need to play like a human. Driving is just a more complicated problem. In fact the way humans solve driving is slow, inefficient and error prone. So many accidents are caused by humans. Eventually we will not be allowed to drive unless supervised by a computer. My father was an RAF flying instructor and always said that flying a plane around the sky is much easier than driving a car - No road signs, no traffic lights, no side turnings, far fewer distractions, far fewer variables altogether; plus the fact that aircraft tend to fly in straight lines for 99% of the time. There have been a few plane crashes which happened because the computers would not allow the pilots to regain control of the aircraft. The legalities are interesting, but the automobile industry is so big in America I suspect that those involved and injured/killed in driverless cars will have to prove, absolutely, that the computer was responsible, and I would suggest that unless they are George Soros, they'll run out of money long before any car manufacturer. A logical fallacy. Chess requires only access to chess moves, which have been know for centuries, that have been codified and stored in the computers memory for reference; driving a car, you literally do not know what is around the next corner, whether it be a patch of oil or a child running out into the road. ASIMO is probably the most advanced humanoid robot in the world, but when faced by 3 steps down it has to assess them for about 5-6 seconds before it can move; this robot can run properly with one foot clear of the ground as it paces, but before it runs it takes a few seconds to prepare itself - Now these are pre-programmed tasks over which 1,000s of man hours have been spent, yet it needs considerable "thinking" time before carrying them out, they are not problems it has never faced before and had to react to in a fraction of a second. I thought so for a bit, too, but one article says "a licensed driver would still be required to sit behind the wheel." The couple of articles I've looked up about it are poorly written and confusing so I'm not really sure what this latest legislation is about. Bloggsworth, did you miss the part about these cars driving over 300,000 miles? When they drive over 300,000 in London traffic without any special consideration, I will be impressed. As far as I am aware they drive well mapped routes after having been driven them a multiplicity of times in order to learn the environment - Take one to Wales, and without any pre-programming, tell it to go from Pontypool to Machynlleth via Tregyon & Tregaron, then tell me how you get on. There seems to be a fair number of people with fingers stuck in ears bellowing that they can't hear us. Google has been driving robot cars in Nevada on public roads for a couple of years, and have covered more miles than the average driver does in 20 years. The computer argument is done and dusted. The TV switching channels is irrelevant. It has all been done. Whatever opinions need to be aired need to be made in the context of that 300,000 mile success. Some of the above sounds like Victorians arguing that any attempt by a railway train to exceed 60 mph would kill the occupants. When self-driving cars become safer than 90% of human drivers, we mustn't forget that 95% of human drivers are better than average. And I think we would rightly all consider ourselves in that elite group. Quite a skewed distribution that - the 5% must be horrendously incompetent. Unless you are suggesting a problem with the survey protocols. How many cars, and were they supervised by their creators at all times? If so it's meaningless, my daughter never fell off the see-saw while I was watching. Put 1,000 cars on the streets of New York in the hands of idiots with absolutely no contact or supervision by anybody other than the person "driving/in charge of" the car and let us see what happens, Thalidomide was perfectly safe until it was released into the public domain. Take one to Wales, and without any pre-programming, tell it to go from Pontypool to Machynlleth via Tregyon & Tregaron, then tell me how you get on. It took nearly 40 years to remove the man walking with the Red Flag in front of horseless carriages. Now we have autonomous vehicles on Mars. One day in the near future when you are stuck between Pontypool and Machynlleth in bad weather, you might be grateful to see one of These. FWIW. Cosworth have had a small involvement with this programme. If you are interested, take a look at the DARPA Grand Challenge progress over the last few years. Not a lot of traffic on Mars. Somewhat less agile than a Jack Russell, and certainly not as autonomous - What happens if an unexpected pack of dogs runs towards it? DARPA is run in a wilderness without a tired lunatic foreign driver used to driving on the other side of the carriageway, in an articulated lorry weaving all over the road in front of them... It takes a computer the size of a living room to play chess, how big would it have to be to hold a driving map of the UK, every junction, every speed restriction, every pedestriam crossing, every possible weather event - Garmin want me to pay £32 to update my SatNav, how much to update my car? Well, in one possible future! You might find this to be true. Just like the majority of Male drivers on the roads today....."Dad can we stop for an ice cream?"...no! we will lose too much time!! Edited by 275 GTB-4, 03 October 2012 - 11:46. You're running woefully short on imagination. You look at the problem from the point of view of 2012 technology, and assume that every shortcoming that exists today will forever exist, and you don't even understand the shortcomings of today correctly. For one, mapping software does not require the same amount of computing power than a chess computer that has to scan through millions of combination does. Secondly, you assume that roads will forever stay dumb, whereas it's highly likely that at some point they'll be coordinated and signaled like railroad tracks, and provide dynamic feedback to GPS receivers to supplement the built-in information. While chess programs use opening books and endgame tablebases, they also crush us is middle game where they can't draw from memory. Speed is where computers beat us handily. We are terrible. Average driver reaction time is over 2 seconds. Even at best we can't go much lower than 1 second. Computer's car has stopped before we even start braking. There are of course many scenarios where human decision making leads to better outcome. But there are many where computers do better. There are still positions in chess where a computer can't find the winning move, but human players can. I think this dispute can be entirely attributed to the fact that people are talking about two different things. The first applications of "driverless cars" will be on extremely limited-access roads under highly controlled conditions with a minimum of variables. Not to mention limited speeds and numerous failsafes: for example, when in "doubt," the operating system will simply command the vehicle to come to a stop. These developments are not nearly as earth-shattering as has been suggested, perhaps, in the media. Large portions of the American rail system are "driverless" with great success. A) Twaddle. All the midgames are also known, it's chess, there are a only certain moves that can be made, diagonal, straight ahead or sideways etc., it's not as if the Bishop has to go round a tractor sticking half-way out of a field gate round a blind corner; so a very sophisticated look-up table will do the job. B) My analogue TV changed channels instantly. C) Your reactions may take 2 seconds, mine don't, and even if the computer processed the info and applied the brakes in 0.5 seconds, from 60MPH it would not have stopped before James May had applied the brakes. D) Computers cannot think, however you like to portray computers, they cannot think; to be creative in solving rapid onset problems the ability to think is a pre-requisite - Yes, in routine tasks computers work really well, but what about when they don't, will we have the bad general scenario "An acceptable level of casualties..." Sounds like the doctor who told my wife that 8% of the population have cerebral aneurisms, to which I replied "No, it's 100% of her." For automated cars to be acceptable, the accident rate from day zero must be equal or less than exists now. Edited by Bloggsworth, 03 October 2012 - 15:30. Those self going cars that have been driving around for themselves. There is a chase car right? Just watched a BBC reporter trying to join a convoy on Volvo's test track - Fail. And that's under controlled conditions on a proving ground. Long way to go. Link? Believe it was from about 1989 when computing and motion detection power was that of a solar powered calculator. Good post. It may cause new accidents that wouldn't otherwise happen but it would probably cut out more of the stupid human ones which, let's face it, make up the majority of road accidents. Edited by Tenmantaylor, 03 October 2012 - 18:11. Even if a fleet self piloting vehicles directly caused 20,000 deaths per year in the US, that would still represent around 10,000 lives a year being saved. The new doesn't need to be perfect or even very good to be worth adopting; it only need be better than what currently exists. And unlike humans, automated piloting systems can and will quickly evolve and improve. Look at the examples cited arguing against the system, they all involve nearly irrelevant anecdotal hypotheticals. Those really don't matter if the net result is a large reduction in total deaths and injuries. I am not arguing that the technology is currently viable, but it will be before long and at that point those opposed will be little better than the 19th century Luddites were. There was nothing hypothetical about the van driving straight at me on my side of the road. Want a few more? I was driving at 70MPH into the tunnel under the Thames and was confronted by a car reversing out! I stopped, checked the rear-view mirror and realised the car behind me wasn't going to stop, so I released the brake and drove out of the way, he stopped where I had been. I was driving down the M4 overtaking a line of traffic when a lorry just pulled out of the line, I steered up onto the central reservation and went round him - The hitch-hiker I had picked up nearly wet herself. I was driving through Camberwell on packed snow when the car in front of the car in front of me got sideways, the car in front overbraked and paralleled the first car, I cadance braked to a stop, looked in my mirror to see an 18 wheeler bearing down on me all wheels locked, I stuck it in gear and drove to the side, the lorry passed me and crashed into the two cars - A policeman standing at the kerb couldn't stop laughing "He just drove out of the way..."
I was on the M1 when there was a mass braking jambouree up ahead, I stopped, realised that the MGB behind wouldn't and drove up onto the grass on the central reservation - He gave me a dirty look! Never understood that, I saved him a lot of money. I was driving from Scotland towards Scotch corner when it was still a single carriageway road, and a lorry coming the other way doing 55 decided it was time to overtake one doing 60, I drove up onto the grass verge and avoided death for the wife and me. I've only been driving for 55 years, so I suppose that there may be more adventures in the future. Edited by Bloggsworth, 03 October 2012 - 21:30. Every chance self piloting vehicles wouldn't have made the errors that put you in a spot in any of your given examples. You've inadvertently actually made a case for self piloting cars. Every one of those involved human error. I agree, robot cars will find it very hard to perform evasive action, or consider any course of action when faced with an oncoming car. And since you are the first person in the entire world to have thought of these problems that obviously kills the entire concept dead. I live in Silicon Valley and see one of Google's autonomous cars every once in a while, usually on a busy freeway. Next time I see one I'll do my best to either crash right into it or crash into someone else in front of it so we can see how it reacts. I'll let you guys know what happens. Ooh! I can't wait! This is the most excited I've been for ages - but look after yourself. My wife does aviation safety for a living: she designs experiments, and brings in commercial airline pilots to test out potential new safety systems in their flight simulator. The #1 difference between flying and driving is: there is not a damned thing to hit up there! Stable flight is really damned easy. Runways, on the other hand, are where the danger is.